Show actual or random number of clients looking at a product and stock inventory. Add texts and unique emojis, create additional urgency in your messages to attract more customers. 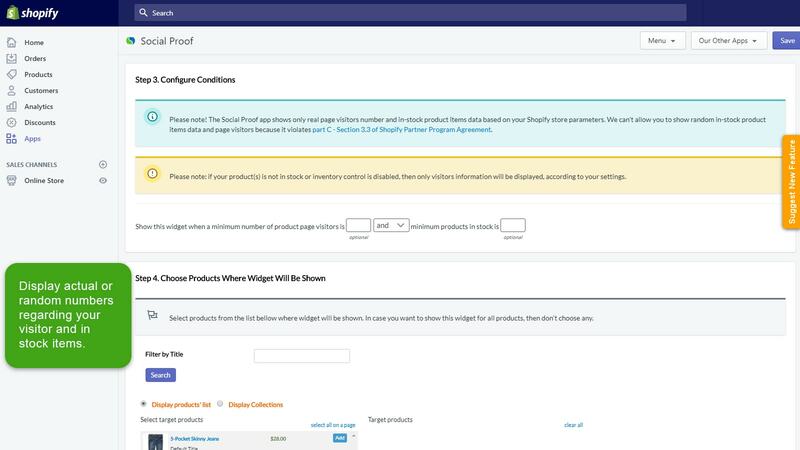 You can easily choose all products in one page and apply changes to all of them in minutes. 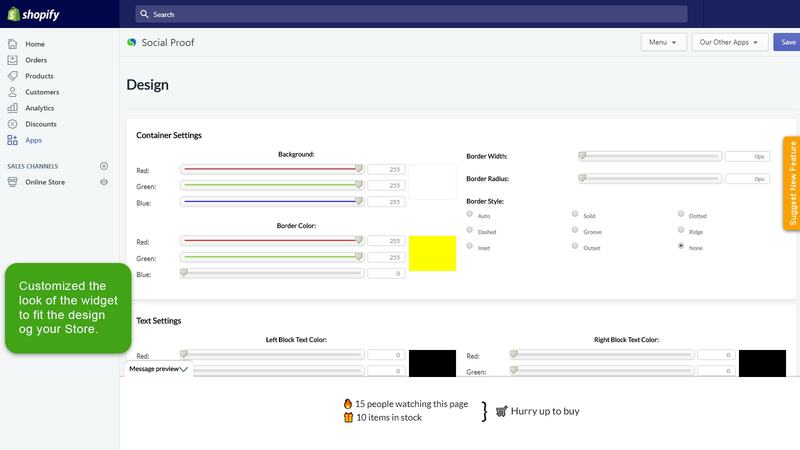 Select between actual or random number of clients looking at your product and stock inventory. The app doesn’t require any manual modifications of your theme during the installation or the app usage. One-click install! 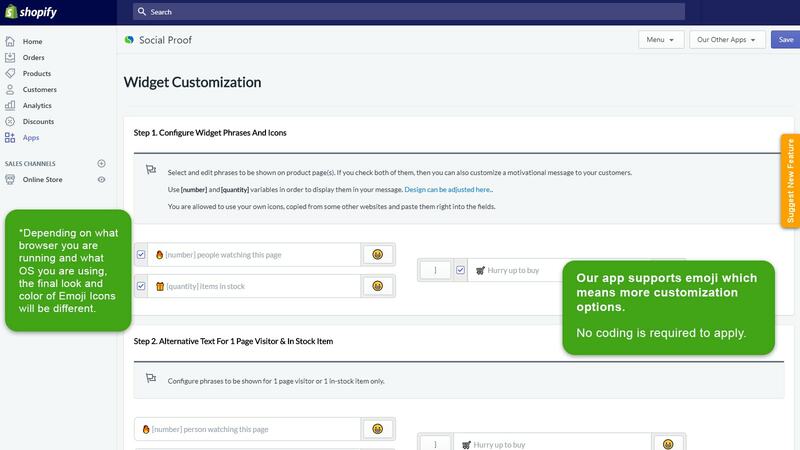 You can create your own design and place the widget anywhere you want on the page. Our fast and free support team will help you solve any problems in a few minutes. Do you realize the unlimited possibilities your store can have when utilizing social proof instruments? At least, it’s foolish to deny that the influence of social proof elements is great and impacts sales rates significantly. 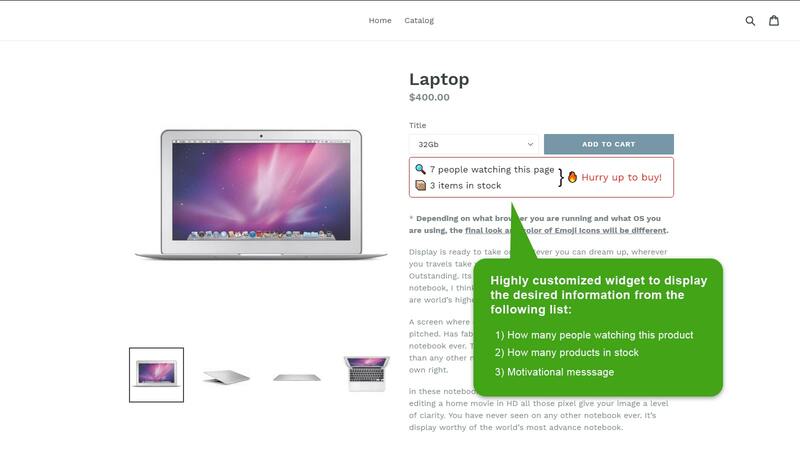 Stop losing opportunities and start attracting sales with the Shopify urgency app! Apply to specific products, collections or the whole store! This app really helps in impressing the customers. My Sales increases after installing this app. Very good app, recommend to businesses who want to increase sales. Super easy to install (you do nothing), easy to set up and use, it’s customizable, and it works great. We have seen a bump in sales from the hour we installed this. Had a couple of set up issues with my theme but they literally got sorted in minutes via their support chat. Easy to install and has made a great difference to my sales! Try Shopify Social Proof App now!